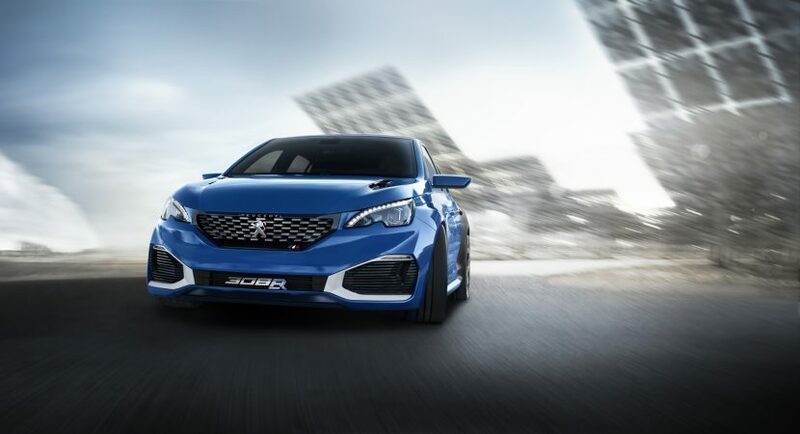 Following the official debut of the 318 R Hybrid Concept at the 2015 Shanghai Motor Show, the French-based manufacturer Peugeot is planning to bring the prototype into production line, the great-looking hatch presuming rivaling against the likes of Ford Focus RS. The idea of bringing life to the 308 Hybrid R was also hinted by Jean-Philippe Imparato, CEO at Peugeot, who recently declared to Autocar magazine that he would “love to launch something even faster” than seen on the 308 GTi, also stating that “there is space for something new”, with solutions to be found in the following period. ”We are very involved in competition sport, like Dakar, and we don’t want to lose this space with our cars. I don’t think we will develop an RCZ replacement. On each level of our range — 308, 208 — we will have something impressive in performance. Do we work on a new RCZ or on the fact that the next 308 will be a beast?” Imparato also concluded. Once arriving on the market, the Peugeot 308 Hybrid R would come with the same 1.6-liter turbocharged engine and two powerful electric motors, with an overall power of 493 horsepower and massive 730 Nm of torque, enought to deliver a sprint from 0 to 100 km/h in a mind-blowing in around 4.0 seconds. However, according to recent reports, the model is expected to come with a detuned power of around 400 horsepower, which would bring it closer to the Mercedes-AMG A45 or Audi RS3 Sportback. But for the moment, all we have is Imparato`s blurred statements on a possible 308 Hybrid R production version.